How Much Is the Jaguar F-TYPE? 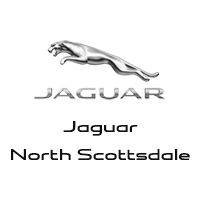 Get in touch with the team at Jaguar North Scottsdale to plan your visit to explore our new F-TYPE inventory! Want to see how the Jaguar F-TYPE stacks up to the competition? See how the Jaguar F-TYPE compares to the Porsche Boxster before getting behind the wheel. How Much Is the Jaguar XJ? What are the 2019 Jaguar XE Interior Features? *Price shown is Base Manufacturer’s Suggested Retail Price. Excludes $995 destination/handling charge, tax, title, license, and retailer fees, all due at signing, and optional equipment. Total Manufacturer’s Suggested Retail Price includes $995 destination/handling charge and may include optional equipment but excludes tax, title, license, and retailer fees, all due at signing. Retailer price, terms and vehicle availability may vary. See your local authorized Jaguar Retailer for details. 0 comment(s) so far on How Much Is the Jaguar F-TYPE?